While there is much light and wisdom to be found in the various Buddhist traditions, there are a lot of shadow sides to Buddhism and meditative traditions in general, some of which will be discussed here. Some chapters in Parts Two through Five have a distinctly cutting tone. This is intentional, though no harm is meant by it. Perhaps a more cutting tone will help to illuminate points that tend to be unmentioned or poorly addressed. Perhaps it will also serve to spark skillful debate and inquiry, rather than causing needless defensiveness and contraction into fear and dogma. However, I should warn you now, some of the next three chapters have quite a bite to them. There is no information in those chapters that is essential to any of the basic practices, though I do think that plenty of it is useful. If you are not in the mood for some heavy and scathing social commentary on contemporary Buddhism, please, skip to the chapter “A Clear Goal” now! The practical reason for including Part Two at all is that what often happens between trying to apply the basics of technical meditation discussed in Part One and successful entry into real meditation territory discussed in Parts Three through Six is that we run into the mainstream culture of contemporary meditation scenes and the communities that develop around them. We need support, friends who are into what we are into, good teachers, and places to practice. We wish to be in the company of fellow adventurers rather than be lone wanderers in strange lands. The Buddhist term for this is that we want sangha, a community of like-minded people. Unfortunately, much of what we find is not particularly conducive to healthy adventure and deep exploration at all. Thus, as one small dissenting voice against the tide, I have included Part Two to help those who want to go deeper than many around them and avoid the numerous cultural sidetracks and disempowering voices that will keep them from achieving their goals. It is as much a laundry list of my pet peeves as it is anything else, but I am happy to own my neuroses in part by openly disclosing them to you. While I may be fooling myself, I think this section, while appearing a bit harsh and perhaps disrespectful to those uncomfortable with examining their assumptions, is likely to be helpful to those who wish to go against the stream and become an actual meditation master. The real dangers that come from using a forthright tone are that it could alienate readers for whom such a tone is simply not helpful as well as those who could really benefit from such a tone but do not want to admit this. Worse, it may cause others to agree too strongly, thinking, “Oh, yes, even though that Daniel guy sometimes writes like a raving lunatic, he and I are really on the same side. We know what’s going on. Those over there are the ones who really need to hear this.” Such polarized attitudes are contrary to the cultivation of actual wisdom. My purpose here is to raise awareness and inspire dialogue. There are quite a lot of readable, helpful, and friendly dharma books out there (such as Jack Kornfield’s masterwork, A Path with Heart), many of which are loaded with brilliant statements that should basically shock and confound the reader, hitting at the very core of their delusion with the deadly accuracy of a master of Zen archery. However, as they have been written in a style that is so completely accessible, these statements may have nearly the opposite effect, creating a mushy comfort in the reader with statements that should have stopped them in their proverbial tracks and provoked deep inquiry. I have grown tired of people routinely quoting profound dharma statements from such works as if this represents their realization of those statements when in fact they have no idea what they mean and haven’t realized them in their own practice. Such folks seem to derive some false security from being able to parrot the masters. While I can relate to behaving in such ways, I will do my best to keep the second two parts of this book from perpetuating this phenomenon. Thus, I have intentionally written some sections of Parts Two and Five particularly in a style designed to challenge and erode unfortunate calcifications. Also, I must admit that it was fun and cathartic to write that way. Perhaps modeling this will help you also have fun and enjoy some of that same catharsis when you run into similar scenarios. I think that most spiritual practitioners could and should become much more comfortable admitting what they don’t know and seeking clarification. The times when I myself have failed to do so have been much to my detriment, manifesting in the forms of slow progress, more pain and confusion than were necessary, stagnation, and occasionally regression of practice. In these next five parts, I will often mention very specific high states and attainments to try to refocus Buddhism on those things that go beyond philosophy, psychology, and dogmatic religiosity. It is awakening that finally makes the difference and was, according to the Buddha himself, the whole reason for all of this. Unfortunately, even fairly rational adults can suddenly lose the ability to stay in touch with their direct experience when such language is used, and I will do my best to try to counteract this and bring things back down to earth whenever possible. It has become almost taboo to mention any degree of actual attainment or mastery, even the lowest levels of mastery, among many meditation communities, and this is extremely unfortunate, which is to say it is completely ridiculous and frighteningly ironic. There are those who hold the view that attainments will always speak for themselves and that people will be able to tell, but this is not always true. There are others that point out that plenty who claim attainments are either being deceptive or err in their assessment of themselves. Perhaps it is purely my time and cultural conditioning that creates my view that reasonable, open discussions of attainments and qualifications to teach are reasonable and valuable. However, imagine if people were afraid to admit that they had graduated from the first grade or that they learned to read: that is what some meditation communities are like. Some reasons for this will be touched on occasionally, as well as some of what might be done about it. However, if we are to have a clear standard for whether these techniques and teachings are working for us, it is vital that we have a thorough knowledge of what is possible and even expected of those who practice well. That is the primary reason for Parts Three through Six. 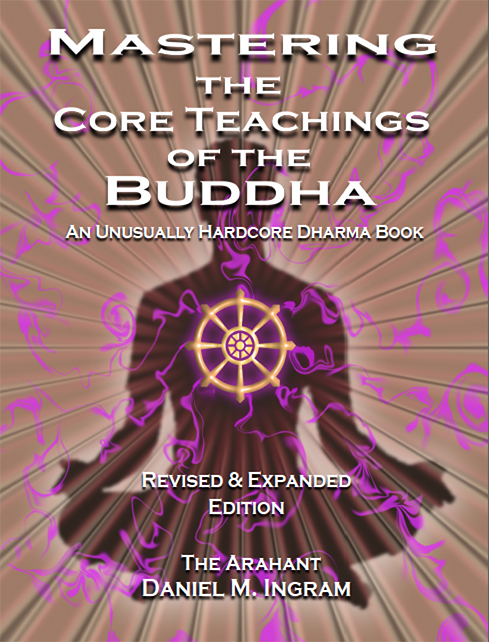 Remember, you are reading a book called Mastering the Core Teachings of the Buddha. It has been written on the assumption that its readers want to do this. That said, there will probably be readers who think that most of what is written in Parts Three through Six, which detail the stages of enlightenment, the high concentration attainments, and even more unusual territory, is pure fantasy, myth, dogma, and nonsense. I have little to say to these readers except that this book is not written for them. I hope that one day their narrow horizons are greatly broadened and this sort of information will eventually be of value to them. I hope that you will realize the difficulties inherent in the language required to set forth concepts, principles, doctrines, and maps of the spiritual terrain. They are particularly clumsy tools even when used to their fullest extent, which, even here, is unlikely to be the case. Even though I will often use a tone suggesting certainty, let me say that nothing whatsoever that I have written here is absolutely true, only provisionally so, but provisional truth can be highly efficacious. Language at its best is a useful tool, though by its very nature imposes dichotomies, reduces, dilutes, and oversimplifies. Hopefully, we will concern ourselves with what is practically applicable rather than what is absolutely “correct” from some arbitrary or dichotomous point of view. The crucial thing is practice and direct experience. Once you understand for yourself, you will be able to laugh knowingly at my efforts. 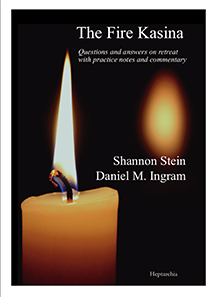 I have written this book with generic commentary on some broad meditation movements. However, any point I make in some attempt to counterbalance what I perceive to be generic imbalances may not apply to you. Such counterbalancing effort can cause further imbalances in you if you are substantially to the other end of things from the mainstream. For example, if I say something like, “Make tons of effort in meditation,” and you are already overpowering your practice, then you need to be able to figure out if my advice is targeted at you specifically, and, if not, take it in context and move on to other points. In other words, reach for balance and recognize that this book was written in a specific cultural context with specific assumptions that might not apply to you at all.